BURG-WÄCHTER is a family-owned company with 90 years of tradition. Experience and knowledge are passed on from generation to generation. These values are the foundation and trust customers and employees bring to the company all over the world. 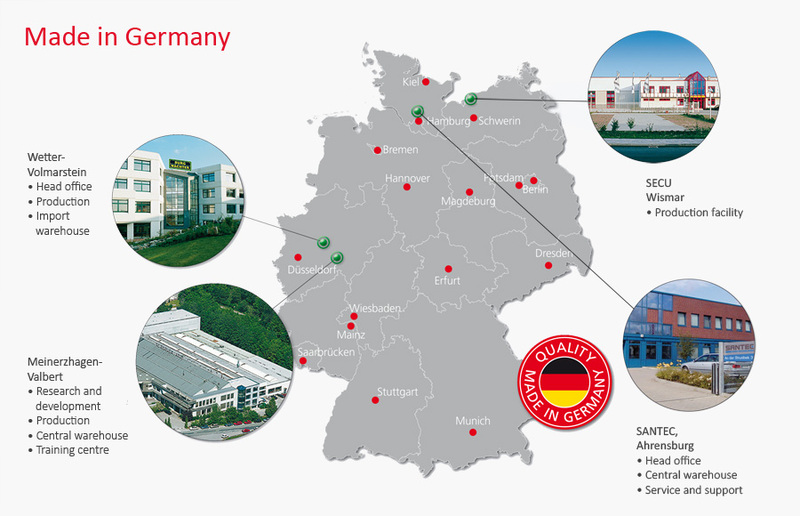 BURG-WÄCHTER is a leading manufacturer of padlocks, door and window security, safes, cash boxes, key cabinets, letter boxes and access control. BURG-WÄCHTER uses highly modern industrial production methods, but has preserved the care of traditional craftsmanship. © 2014 BURG-WÄCHTER™ - All Rights Reserved.